And so we come to the final blog post on the Peppercorn K1. It's been a long process for this loco having started at the end of last year and then having to wait for the WVR route to be confirmed and then released. However it's now ready for QA testing and will hopefully be released soon after and we have to say that we think it's out best work to date. It has brought together all of the techniques, detail and features that we have developed over the past 3-4 years and also given us the opportunity to improve upon many that we already used. The model has more detail than we've added before; we have created a much more realistic cab environment in terms of texturing and are very pleased with the layers of filth both inside and outside on the worn BR livery; we have new and updated particle effects including visual priming, and steam leaks in the cab on the worn locomotive; our custom wheel slip code has been improved and the detection of the weather is now dynamic rather than having to be set on a per-scenario basis. 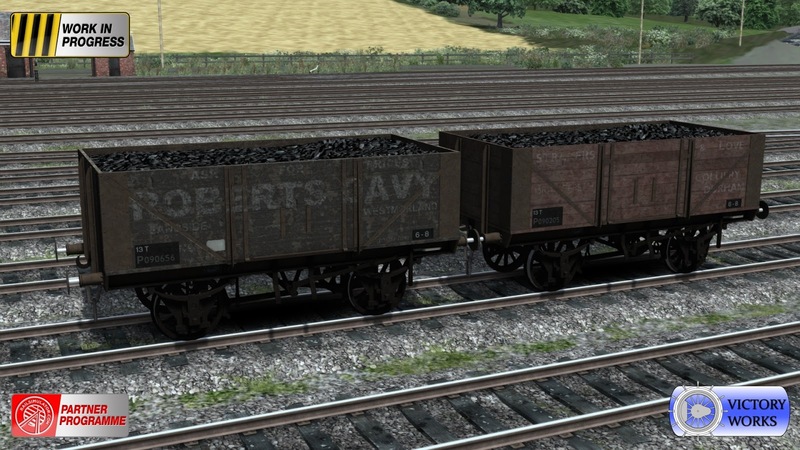 We’ve also added some neat new touches such as an in-built head out view for the cab and a shovel to control coaling the engine. As with all of our releases we've catered for everyone by supporting simple driving mode and then having a basic mode with the "default" style driving controls and then an advanced mode for those who like the challenge and a much greater level of realism. Fully operable tender controls including a shovel... for shovelling! So that about wraps it up for details of the Peppercorn K1. 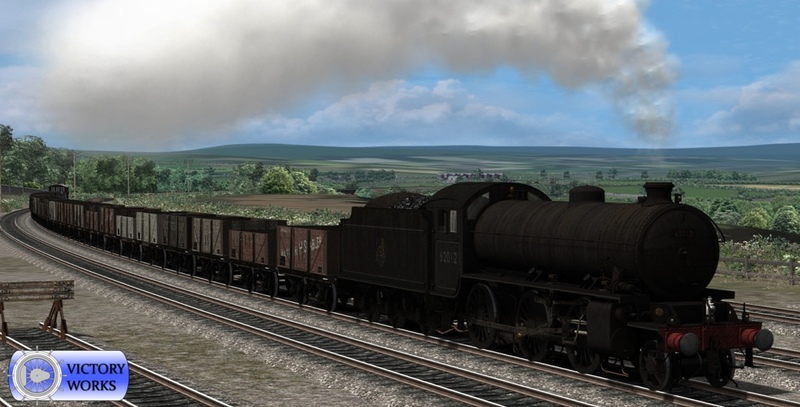 It's been a real delight to create and we've also had a lot of enjoyment from writing the scenarios for it because the Weardale & Teesdale Route is such a treat to drive on. We're going to take a break over the rest of the summer and then it's back to work to get the USATC S160 completed and to finalise our plans for 2016. 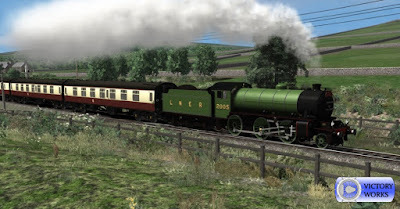 This time rather than announce the locomotives one by one we're hoping to announce the entire line up for next year in one hit so you know what to expect from us and hopefully can get excited about them. 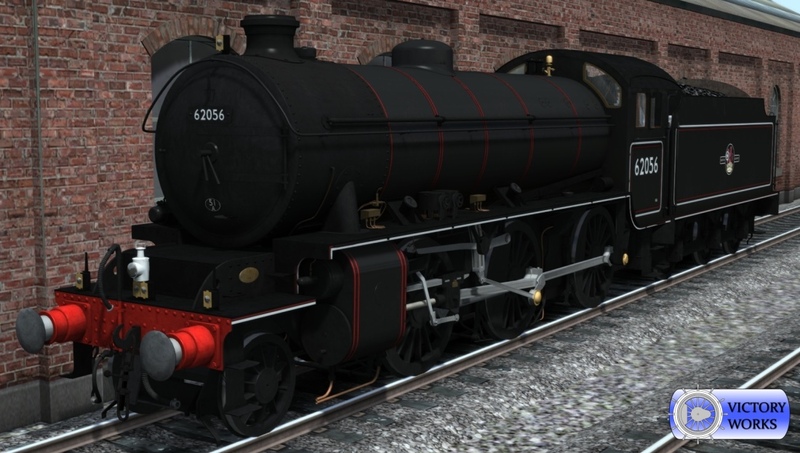 A big thank you to BRProductions2014 (I think Ben is his real name) for making a brilliant suggestion when we replied to a question asking about a particular nameplate on the K1. As promised we will be doing a full breakdown of all of the K1's features soon but today it's a quick update to show some things that have been added at the last moment. We've included a set of 3 headboards for the BR and LNER liveries - selectable via the scenario loco number or via keyboard during play. The first 2 are very popular with steam rail tours and should allow the K1 to fit very nicely on modern routes. 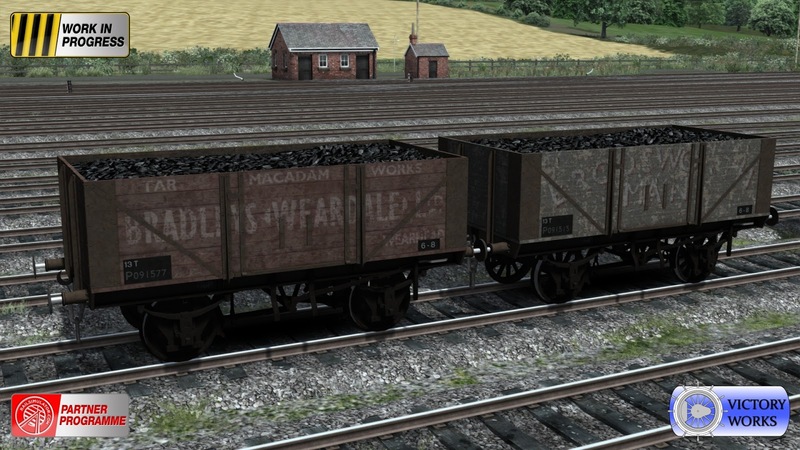 The last one is a nod to the talent behind the Weardale & Teesdale Network Route and features in one of the 8 included scenarios with the K1, which is based on an actual 1960's rail tour to Weardale. We are also really excited to announce that in an arrangement with Steam Sounds Supreme we will be using their new freight and wagon sounds for all of the K1 rolling stock (see the previous 3 blog posts for details of it all), and also for all future rolling stock from Victory Works. As usual Matt has worked his audio magic and they sound terrific. 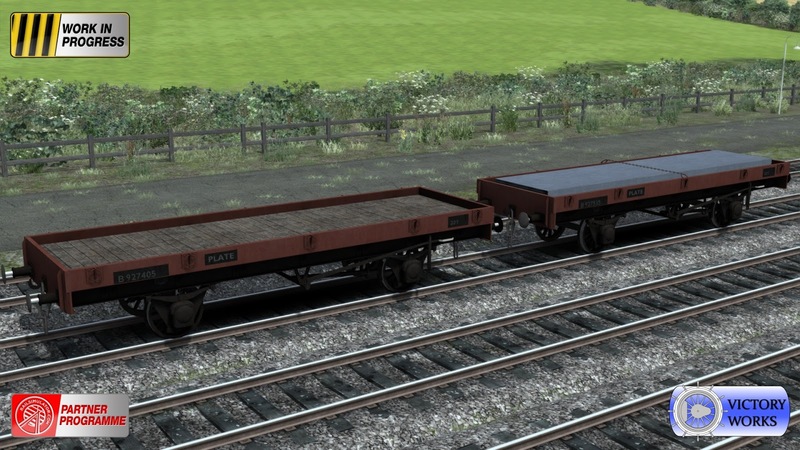 So what else comes with the Peppercorn K1 apart from a load of clever plank wagons? Well to start with you can't go wrong with some nice bolster stock. We made a few of these and we couldn't fit them nicely in 1 picture! For all your steelworks movement needs the twin bolster is just the part. 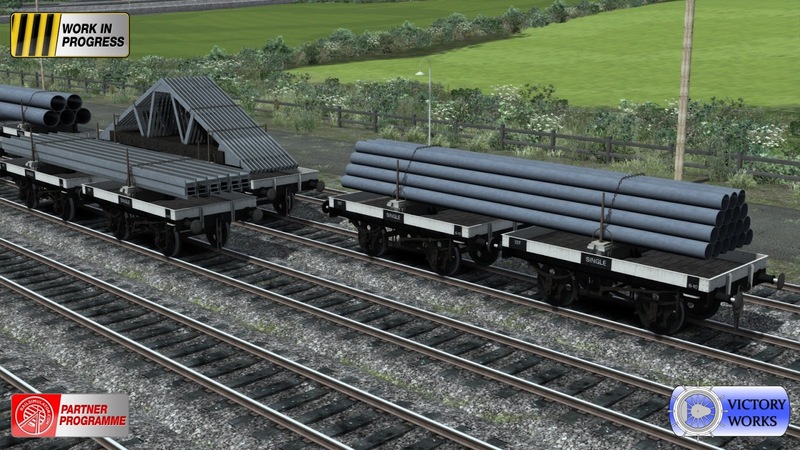 Built and animated with the rotating brackets so the load is correctly balanced across the 2 wagons, there are loads for large pipes, small pipes, girders and also roof trusses. There are also empty bolsters (as singles) for the return journey when the goods have been delivered. All of these also have animated handbrakes. If you want to move bricks, what do you use? You use a wagon built for the purpose - a Palbrick A wagon in this case. These were converted from old "Medfit" or medium goods open wagons specifically to carry bricks - the previous method being a standard plank wagon and lots of straw packing. And if you're going to have a Palbrick A, then you should have a Palbrick B as well. Much the same but built from new for the purpose rather than being a conversion. 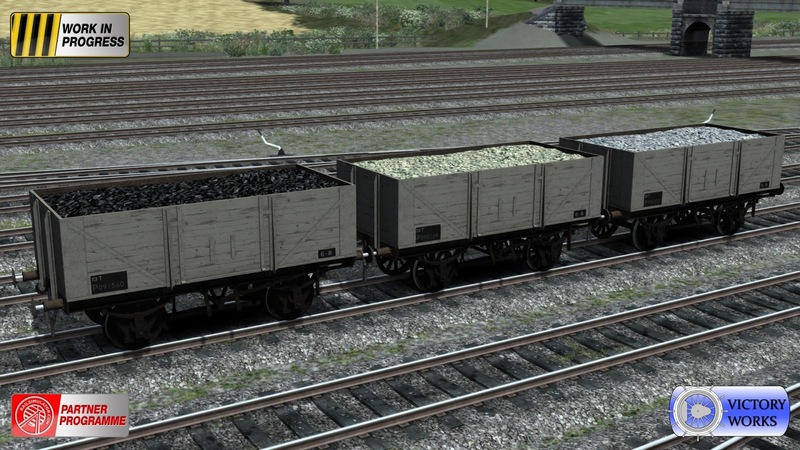 Both Palbrick wagons have solid/spoked wheel options and animated handbrakes. Back to steelworks goods movement. How do you move a stack of steel plates? On a 22 ton plate wagon of course! 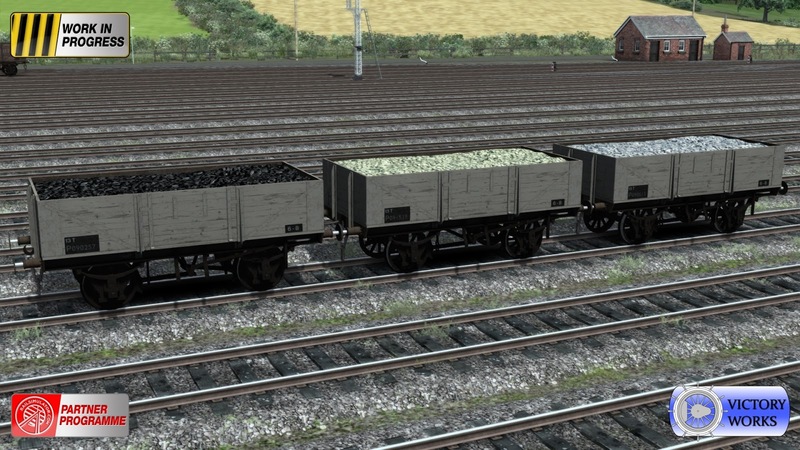 The plate wagons have solid/spoked wheels and animated handbrakes. They also have differing number of chains holding the plates in place to create some variety in your consists. 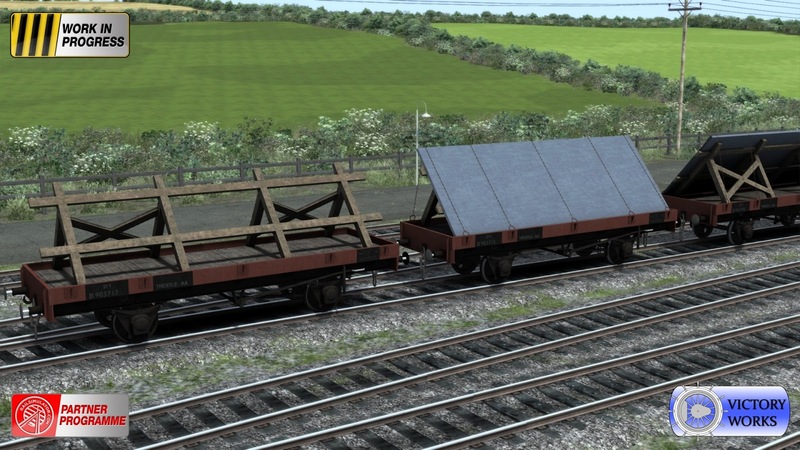 But what if the steel plates were too wide for the wagon? Why then you would need a Trestle wagon, a Trestle AA in this case. Available with and without plates, they also have solid/spoked wheel options, animated handbrakes and a variety of chain sets to add variety. So how to end the list of rolling stock. 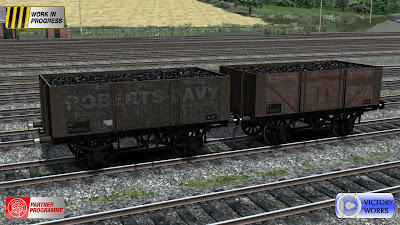 It had to be with our personal favourites which again are a testament to dirt and filth on a working railway. 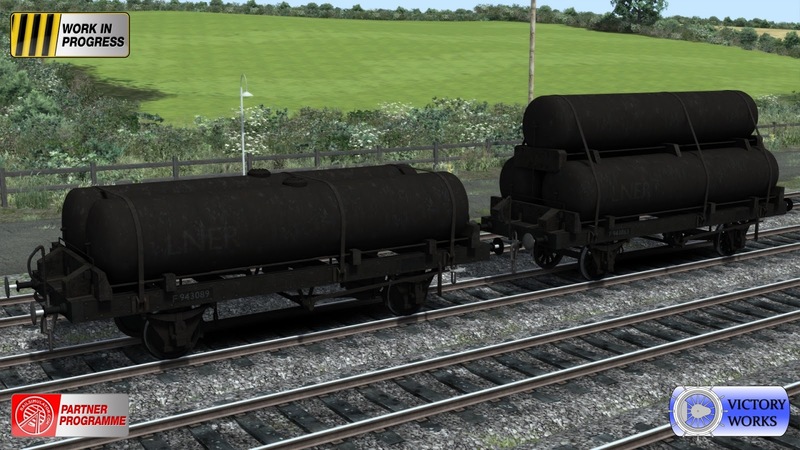 Gas wagons. 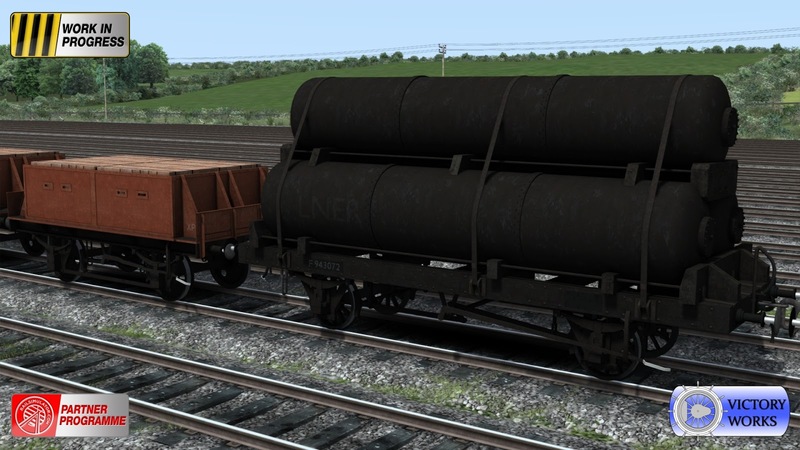 These ex-LNER wagons would have been seen everywhere in the LNER era when gas was used in coach lighting and for stations and so had to be refilled regularly. By the time of BR much of this lighting was electric, however some remote stations still had no connection to the national grid and would have continued to have their gas delivered by rail. 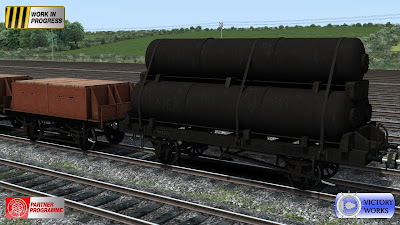 Suitably filthy and in 2 or 3 tank versions the gas wagons have solid/spoked wheel options, animated handbrakes and a few optional parts (strengthening rings, end caps, etc) which are again used to give some variety when placed together in a consist. 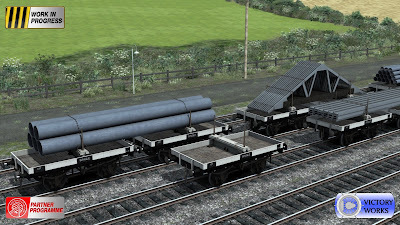 And finally, what does it look like if you place everything in one train? 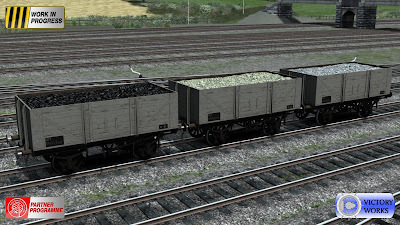 This shows just one of every wagon type. 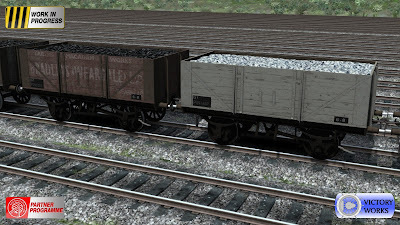 With the variations in wheels, optional parts, 2 sided textures, etc. the variations are literally in the hundreds. Next time in the final post of this series we'll take a look back at the K1 locomotive and list some of it's features. 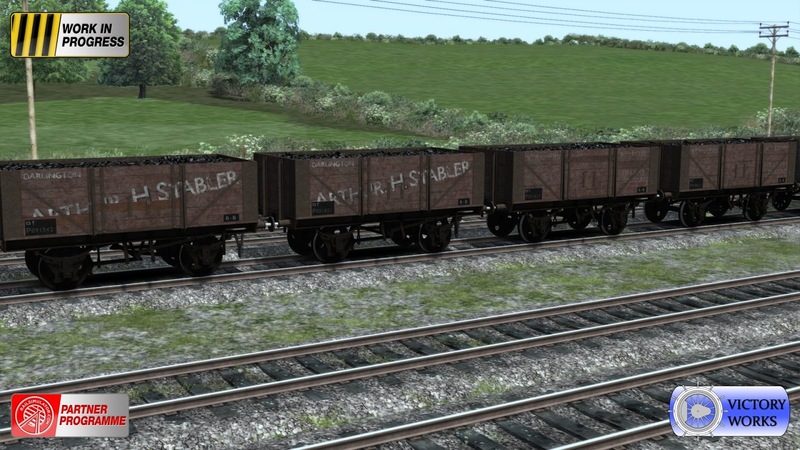 Last time we looked at the ex-private owner wagons that are coming with the Peppercorn K1 add-on. 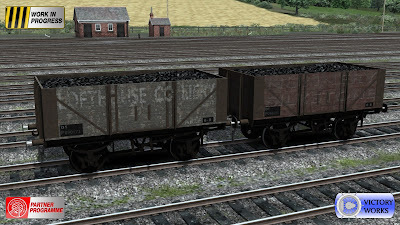 This time we wanted to reveal some of the extra features that even these humble wagons have received. 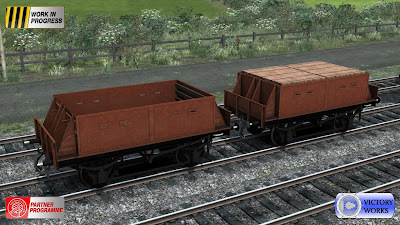 Firstly, we have 2 wheel types on every wagon. Solid wheels (with 3 holes) and spoked wheels. 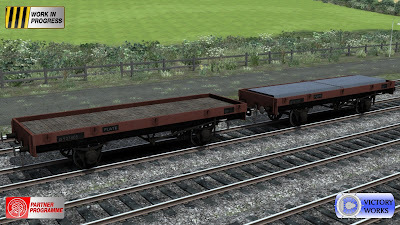 The type of wheel can be set using the wagon number but there is an included number list of many hundreds which has a variety so placing down a few of them will give a mix of wheel types. 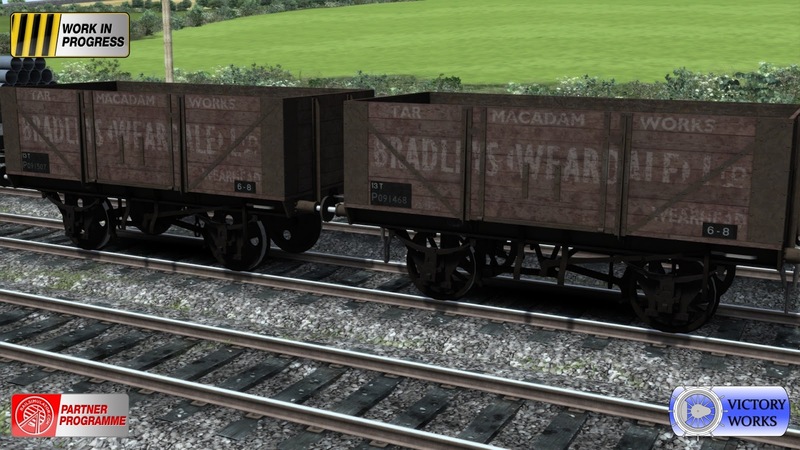 Another feature is that the sides of the wagons are not mirrored and in some cases we've gone out of our way to make the textures quite different. 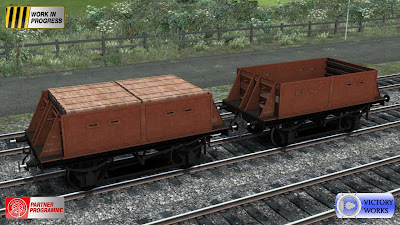 A common feature of these type of wagons was them having had a plank or 2 replaced due to damage, thereby leaving a gap in the old livery and a different coloured plank. By having sides that are not mirrored you can flip the direction of some of the wagons in your consists and have a slightly different look rather than lots of clones. Finally a new feature that we think is rather neat. Can you see it? Do those handbrakes look like they're on? 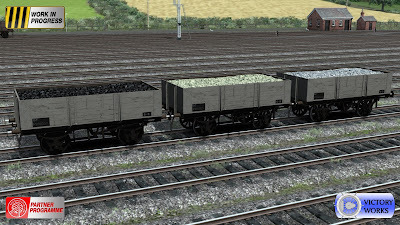 Indeed, all of the rolling stock that comes with the K1 has animated handbrakes and an accompanying clunk sound - so we highly recommend applying the handbrakes before you drop off the wagons when you're performing shunting duties. Next time we'll look at all of the other stock that's going to be included. 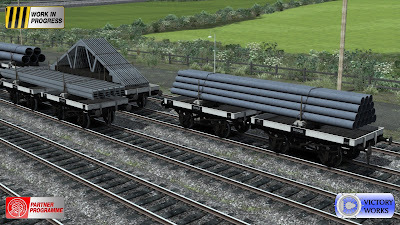 It's time to start looking at the rolling stock that will be coming with the Peppercorn K1. 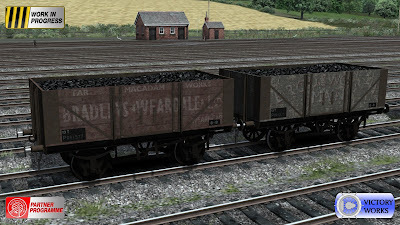 We thought we'd outdone ourselves with the stock that came with the GWR Small Prairies add-on but this time we just kept adding as we did more research. Aimed at creating some really fun scenarios for the Weardale and Teesdale Railway route from Dovetail Games the stock is also at home in many areas of the ex-LNER network in it's British Railways days. Today we begin with the humble plank wagon. 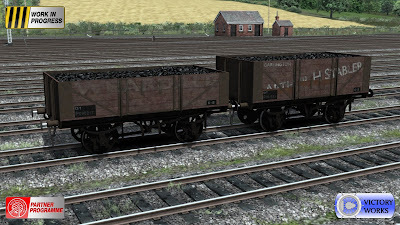 When British Railways took over the Big Four rail groups (GWR, Southern, LNER and LMS) they inherited millions of wood sided wagons that had been used for many years for moving coal and other minerals. 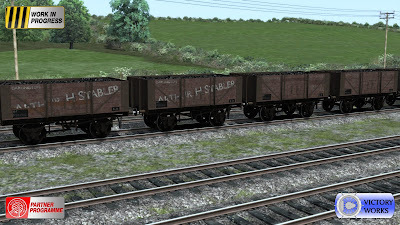 Many of these wagons were "private owner" wagons, meaning that they were owned not by the railway groups but by individual companies and were emblazoned with their logos and advertising their company names. 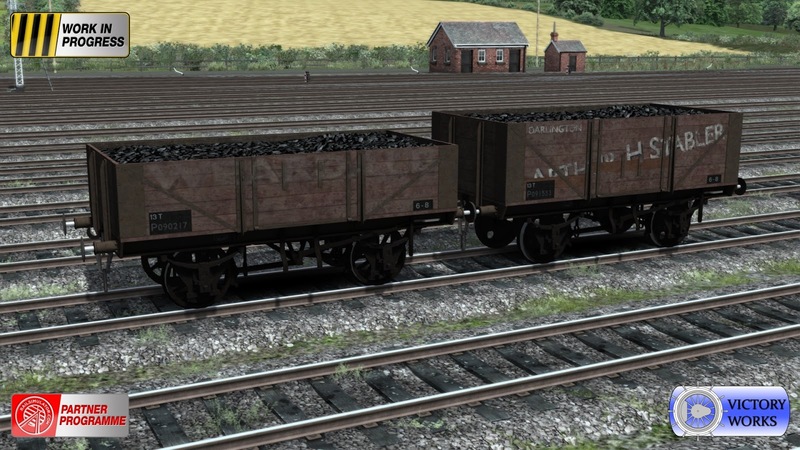 British Railways continued to use many of these wagons, however giving them a smart repaint was not an option. Many of them were quickly splashed with grey paint. A lot of them were left in their old private owner liveries with just BR information plates added and the old colours were just left to fade. Firstly we present the 5 plank ex-private owner wagon, hurriedly painted in that BR grey, and with optional loads of coal, stone and limestone. Also the more common 7 plank version, also with the 3 load types. 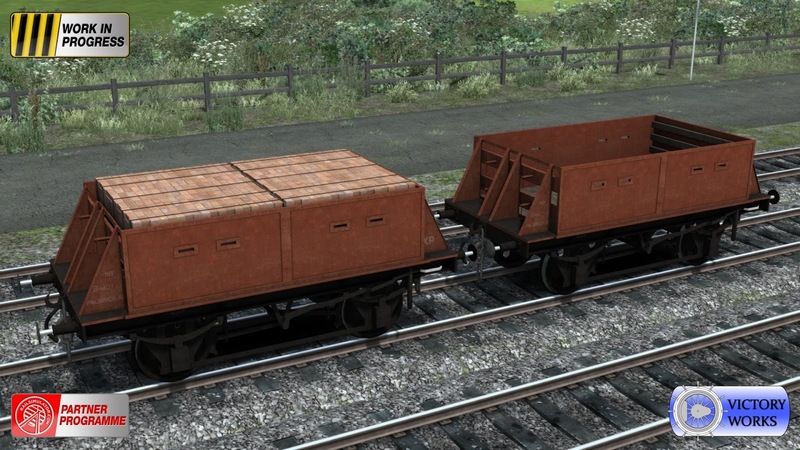 And then a selection of these wagons that didn't find their way under the paint brush but had BR marker plates added and were pushed straight into service. 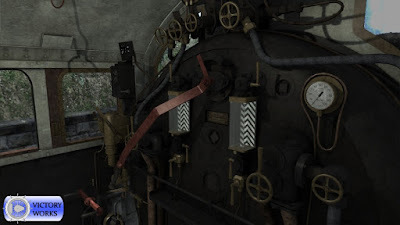 GT3 Gas Turbine: Released on Steam! We are pleased announce that the GT3 is now released on Steam, with an introductory offer of 20% off.